Transporting you back to Medieval times. In this game the group gets split into two teams each players gets 2 arrows. The teams start from a base designated by the host. The teams navigate their way around the obstacle trying to avoid enemy fire. If you are hit by the opposite team you must drop your arrows retreat back to your base and start again. The rules of this game follow the rules of dodgeball. The teams start at opposite ends and race into the middle to collect arrows from a buffer zone. You must not cross onto the other teams side. Once you have collected your arrows you must retreat to your side and unleash your inner Robin Hood on the other team. The aim is to hit the opposing players to eliminate them from the game, when you are hit by the arrow you are eliminated. 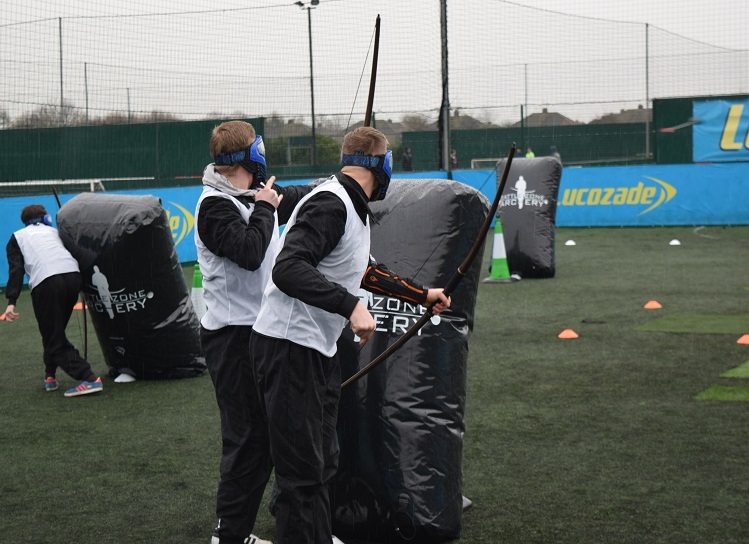 However your team mates can get you back in if they can skilfully catch an arrow fired by the opposition. Following the rules of dodge-arrow except one minor little detail...... when your hit your out ! If you eliminate the whole opposite team you win ! If after 10 minutes neither team is eliminated then the team with the most active players on the field wins. This game requires skill and tactics. This game requires you to collect as much loot as possible (cones, bibs etc). You must go out onto the field under enemy fire and collect as much of the loot as you can and return it to your storage area. Each team has 1 storage are and a base. If you are hit you must drop your loot and arrows and return to your base and then you can return to the field. You must defend your loot from the other team as they will attempt to steal it ! The team with the most loot wins ! Players line along the edge of the field all armed with bows and arrows. The hen/stag must run the gauntlet from one side of the field to the other trying to minimise the hits from the players. A flag/cone will be placed on top of each teams base. The objective of the game is to capture the opposing teams flag/cone and successfully take it back to your own base without being hit. If you are hit whilst holding the flag/cone then you must drop it where you stand and head back to your base to "respawn" back in to the game. Perfect for Stag/Hen Doo's, Kids Parties, Sports Days, Corporate & Team Building Events. Add this to your Bubble Soccer mega mix for some additional fun. Our Combat Archery sessions are packed with action from start to finish & we aim to tailor the event to your taste. 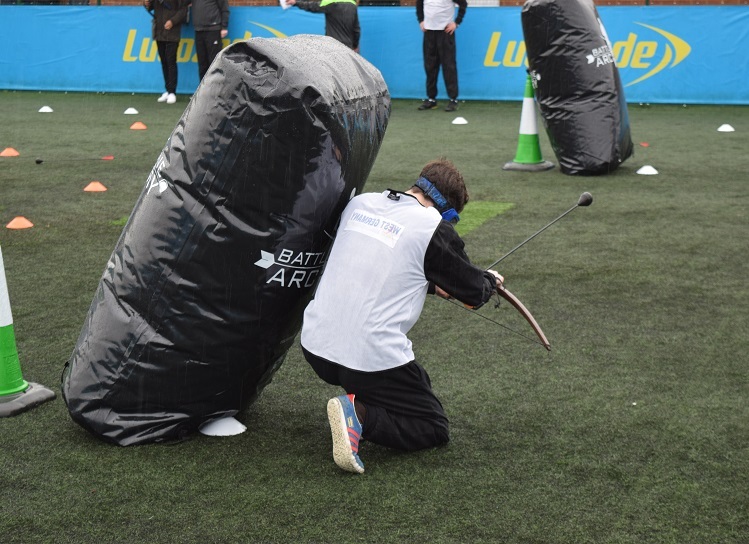 Combat Archery aims to provide the best possible experience: there will be laughter, fun, banter & much more laughter, whatever your age guaranteed you'll have a ball!